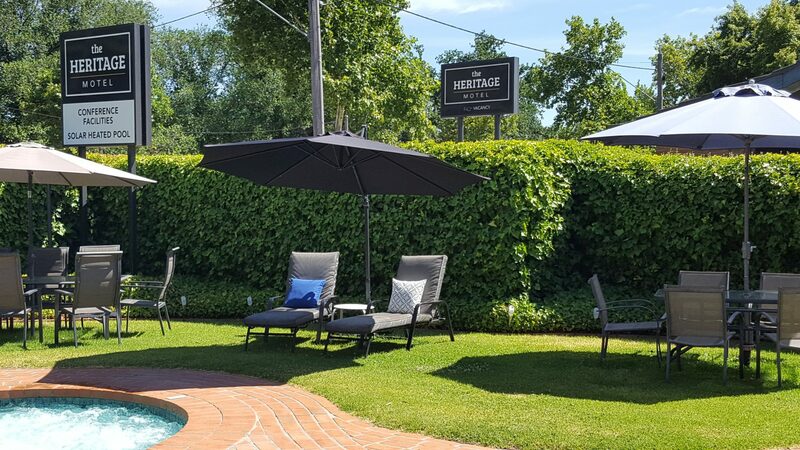 The Heritage Bendigo offers our guests wonderful beds, super showers, beautifully clean rooms located in Bendigo’s Golden Square – conveniently located near the centre of Bendigo and within easy reach of all things Bendigo. Our 24 spacious ground floor hotel suites offer you free high speed Wi-Fi, 32 inch LCD TV’s & Foxtel with parking directly at your door. 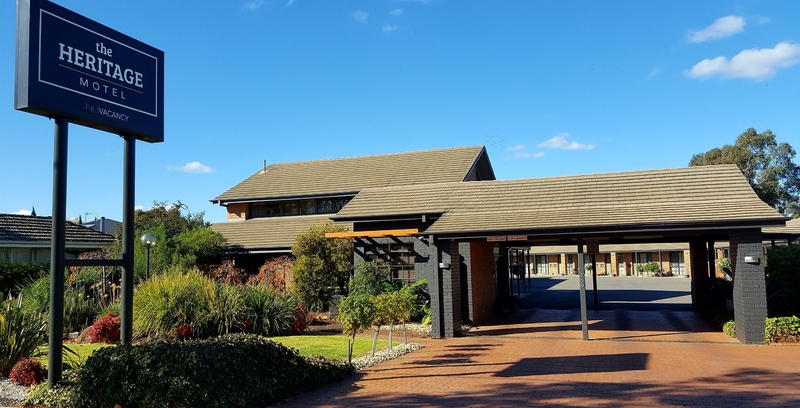 Other highlights at this lovely Bendigo motel is a delicious breakfast, solar heated swimming pool, conference facilities and guest laundry. 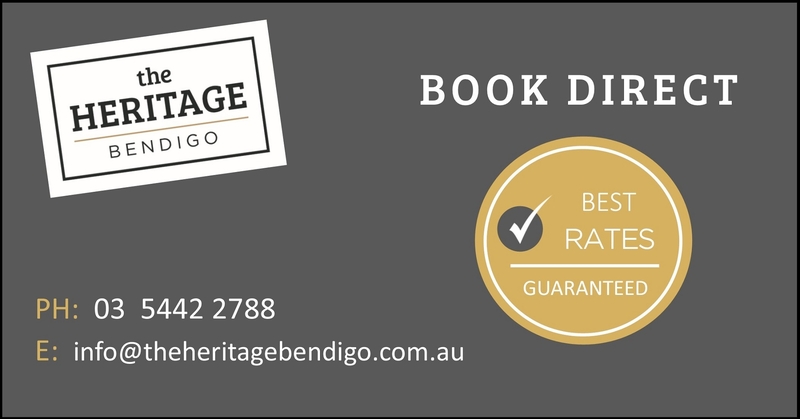 The Heritage Bendigo is 1km from the St John of God Hospital and only a short 5 minute drive away to the Bendigo Stadium. Woolworths Supermarket and the wonderful Foundry Hotel only 2oom away. With the variety of local attractions and activities such as antique shops, wineries, park land and shopping Bendigo Marketplace, The Discovery Centre, Bendigo Talking Tram, Ulumbarra Theatre, Bendigo Art Gallery, Bendigo Pottery, Rosalind Park and the many major sporting and cultural events make The Heritage Bendigo your preferred accommodation. The Heritage Bendigo is close to a variety of local attractions and activities such as antique shops, wineries, park land and shopping Bendigo Marketplace, The Discovery Centre, Bendigo Talking Tram, Ulumbarra Theatre, Bendigo Art Gallery, Bendigo Pottery, Rosalind Park Bendigo Hosts many major sporting and cultural events. We are one of the closest motels to the Bendigo Stadium – a short 5 minute drive away.